Seven and a half days. That is how long Ana-Sofija has been an American. Eleven days is how long she has legally been our child. As I listened to her screaming for me to come get her some yogurt this morning, these numbers seemed just silly. It feels as if she’s always been ours. As if she were our child before she was even born. This God-given parental love makes it painful beyond words to think of what she has experienced in the first five years of her life. We are getting into a routine as a family and she is catching on to how things run around here like a fly on fly-paper. Speaking of…she actually reached out and caught a fly with her thumb and fore-finger a couple days ago…Mr. Miyagi style (sans chopsticks). This girl has wicked fast reflexes and amazing hand-eye coordination! I have to confess that I had totally forgotten what life was like as a stay-at-home Mom with a toddler. Those memories have all come flooding back this week. My days are no longer my own and I’m beginning to think that it will be fall before I get to finish a phone conversation. For any adult that happens to cross my path in the evenings, I apologize now. I am a little starved for some tall-talk. The beauty in all of our Mama/Ana-Sofija time is that she is picking up English unbelievably fast. I am pretty certain that she understands just about everything that we say to her. I say this because when we tell her to do something, she either does it or sticks her finger up in front of her face and says that she doesn’t want to. She is one brave little girl! From the first day that we were able to spend time with her, we have prayed with her and around her. The entire time we were in Serbia, she would squeal like a pig and laugh this deep belly laugh when we prayed. The day that we got home, she started just listening quietly. By the middle of the week, she was bowing her head, closing her eyes, and praying on her own. There are very few phrases that she is speaking entirely in English. Most sentences are a blend of English and Serbian. But she prays, “Now I lay me down to sleep….” and she sings, “Jesus loves you….” entirely in English. Okay, it may not sound entirely like English, but she’s trying, and it is understandable. And one thing she is saying very clearly is her emphatic, “Amen!” at the end of every family prayer. She has fallen in love with our dear friend Charity and a couple of days ago, while Charity was pushing her on the swing, she sang, “Charrrrity (rolled r), Jesus loves you.” How stinkin’ cute is that?! It took several days and a lot of headaches to get her registered as a military dependent and enrolled in our insurance, but by Thursday she was officially an Army brat (not the Serbian kind of brat). As soon as this was done, I called to schedule a physical and was lucky enough to get an appointment on Friday morning with a pediatrician who is from Eastern Europe and who treated orphans from China for decades. Chad thinks she’s somewhat of a quack, but it was nice to see someone who knew what they were looking for and who was very cooperative in giving us referrals. As I suspected on her first night with us, she has an umbilical hernia. You can see the tear when she lays down and it pops out when she stands up. She also pushes it back in all the time. People who’ve witnessed this will tell you that it’s painful just to watch. So, we have a surgical consult and she will most likely have it repaired at Walter Reed in the next couple of weeks. She also has lots of icky stuff in her digestive system that has been sitting there for who knows how long. So, we will be doing a daily cleanse for a minimum of six months. Joyous! She has also grown three centimeters in less than two weeks. I don’t even know how this is possible and I would not believe it if I had not measured her myself. She is now over four feet tall. If she keeps growing at this rate, we may end seeing an endo just to make sure that her endocrine system is working as it should. We also got quite a bit of insight concerning her behaviors and their relationship to the drugs that she has been given. This is the area where we need prayer and guidance. 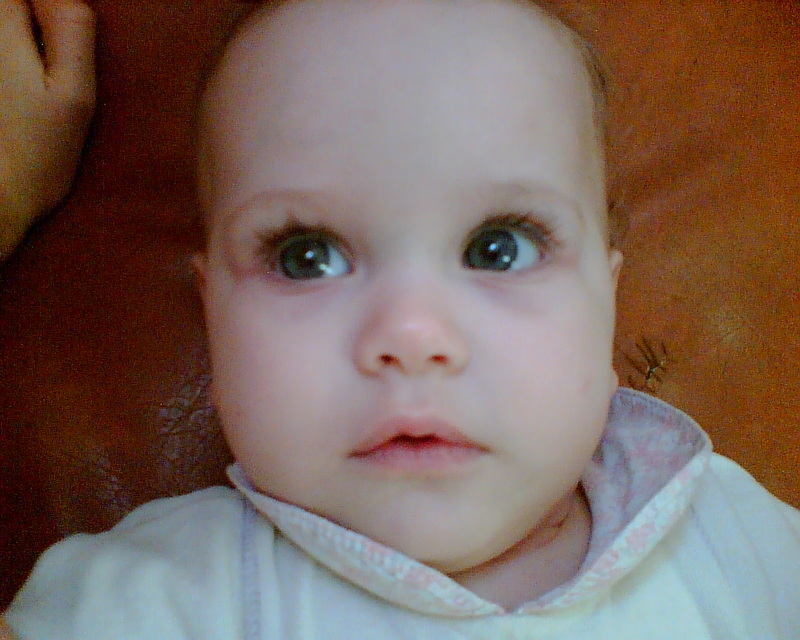 She was placed on medications as a baby that should never be given to children and definitely not to babies. She stayed on these medications until she was three. One of them was an anti-psychotic that is no longer even manufactured by the drug company that created it, because of its terrible side effects. While many of the behaviors we have witnessed can be explained as autism or institutionalism, there are a couple of things that do not fall into those categories. I have scoured the internet at night trying to find a psychological diagnosis that describes these things. Yesterday, I found where they fit. They are not psychological. They are biological and pharmaceutically-induced. She has a few characteristics of Parkinson’s. These behaviors are listed as the top long-lasting side effects of the anti-psychotic drug. Even when the drug was being prescribed in the states, it was only recommended for short-term use by persons undergoing chronic psychotic episodes. She was on a fairly high dose for a very long period of time. She will see a developmental pediatrician in the near future and she will undergo a CAT scan, MRI and EEG. She will also be tested for heavy metal poisoning. Our prayer is that the doctors will be able to flush the toxins from her system that have been poisoning her. I cannot describe how frustrating it is to know that my child was poisoned. She was a beautiful healthy newborn baby with perfect apgar scores and the devil used whoever he could to try to destroy her. Jesus came to promise her life in its fullest. He is bigger and more powerful than any toxins floating around in her bloodstream or her brain. He CAN and He WILL make her whole! (emphatic) AMEN! what beautiful baby pictures! so sad about the medication =( praying for answers..
thats wonderful that she is getting lets of healing mommy and ana sofia time! I have been following your journey since you went to Serbia. Unbelievable that they would give an anti-psychotic to a little baby! Praying that you will be able to get all the toxins cleared out of her body. She is so blessed to have you…a mommy and daddy who will fight for her and help her be all she can be. I had a wonderful time praying for all of you while I was driving today. I had dropped my son off at a friend’s house and was ALONE in the car (Woohoo!) A car makes a great prayer closet in a pinch. Prayed for physical, mental and emotional healing for Sofija, wisdom and strength for Mom and Dad, and God’s continued hand of blessing on your family. Thanks for allowing me to be part of your journey through prayer! I’m honestly in tears thinking of your beautiful daughter being poisoned by the very people she was dependent on for her survival. I pray for her complete healing and restoration. She is a beautiful girl, a beautiful baby! Oh my! I look forward to following her story! Unbelievable they would put a baby on those drugs! Angela developed Tardive Dyskinesia from one of her meds, (actually a combo of meds from a ped. I hated who wasn’t hearing what I was saying, nor did she check to see if the two meds had negative interactions) and it scared me to death! The day it started I caught it on video and sent it to her neurologist. Thankfully we caught it early enough, but once in awhile I see it. Continued prayers for all of you, and what a blessing to hear how fantastic she’s doing! Looking for something in an old post tonight and I found this… My precious, amazing, baby girl.